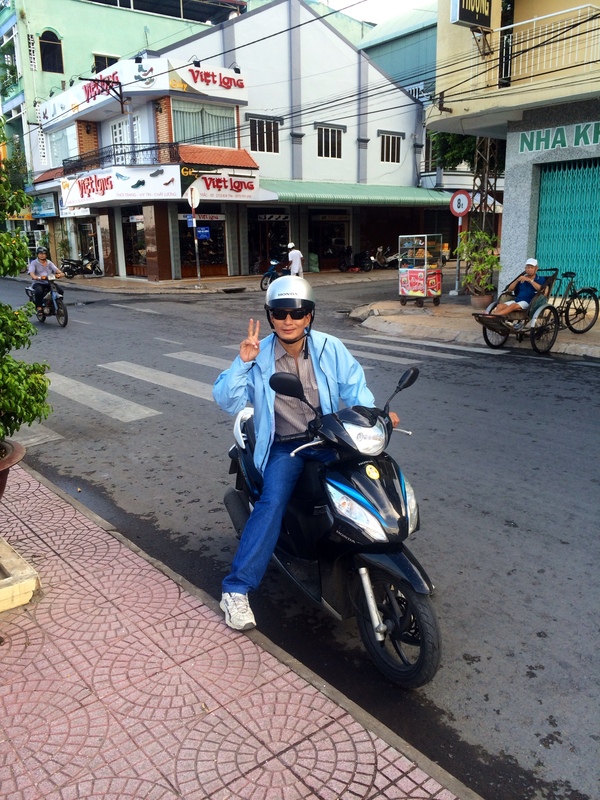 At 7 am as planned, Tuan my motorbike driver met me outside of the hostel. I had absolutely no idea what was in store for the day as I sat on the back of his motorbike. 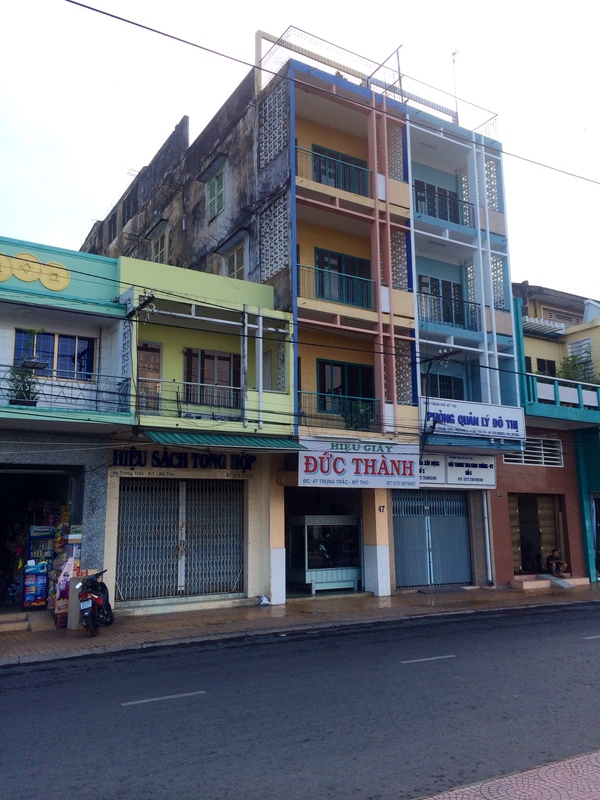 Suddenly, we were off weaving our way through the insanely crowded streets of Saigon. Now that I was a motorbike “pro” having ridden on his motorbike for 2 hours yesterday, I was no longer terrified and didn’t awkwardly hug Tuan. At a speed of about 40 kilometers/hour, we made our way out of the city and onto the old Highway 1, which goes the length of the country north to south. There is apparently a “sleek modern” new Highway 1, but motorbikes are not allowed on it. Being at street level and at a fairly slow pace, I was able to take in the Vietnamese street life. People carried everything imaginable on motorbikes. I saw an entire family of 4 on one motorbike! The strangest thing was a pig sliced through its stomach. The body was draped around the back of the bike and the head was staring straight at us. 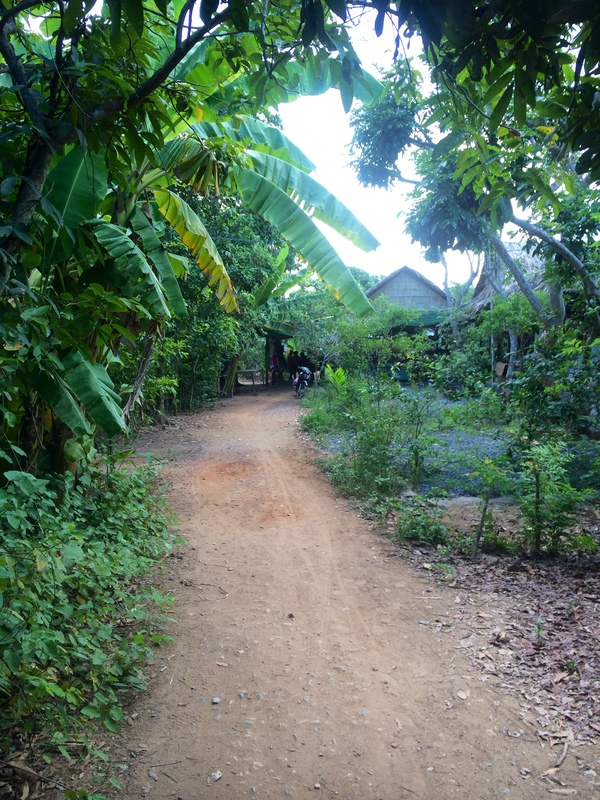 Because the road was so well-traveled, there was little if any open land between Ho Chi Minh and our final destination of My Tho, 3 hours south. Every space on the road was occupied by a shop, factory, or pagoda. 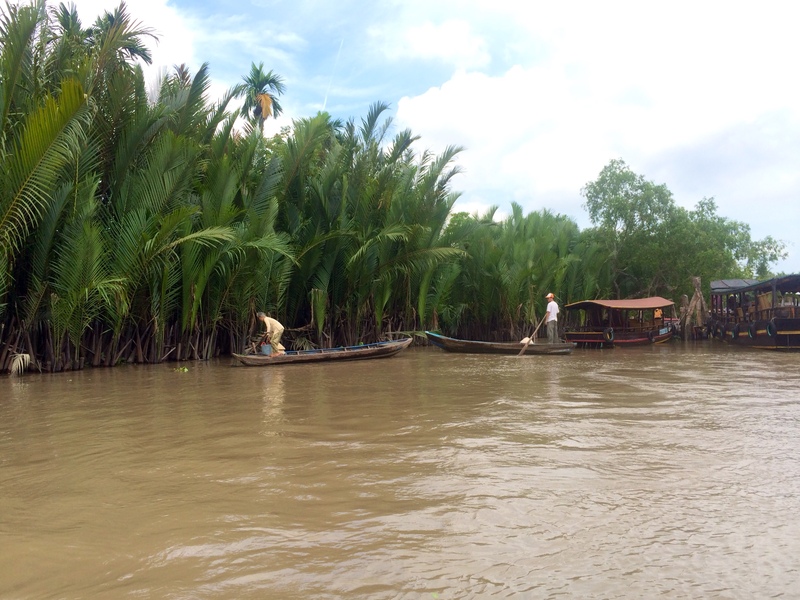 Eventually, we reached the Mekong Delta. 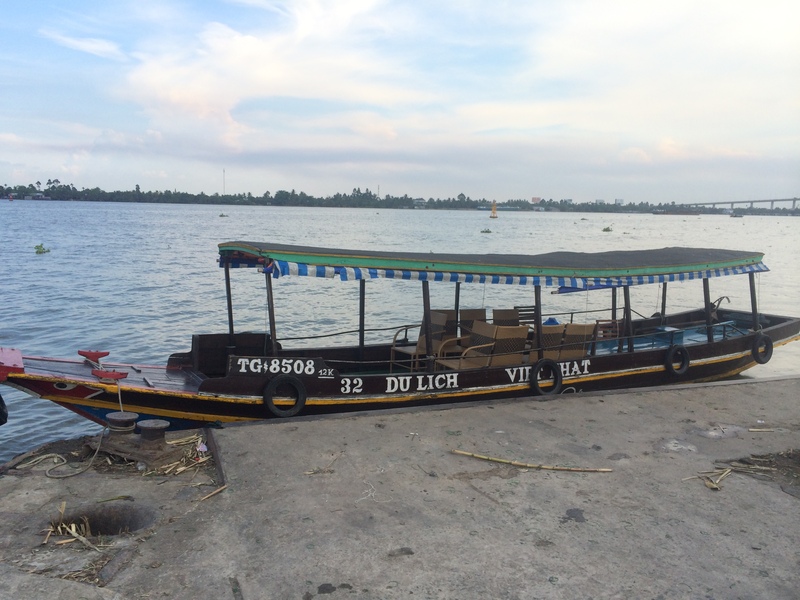 We pulled up to a dock and Tuan led me onto a boat that normaly would seat 20-25 people. However, this was a private tour, so it was just Tuan, the boat captain, and me. The Mekong is the most famous river in Southeast Asia. It starts in the highlands of Tibet before weaving through Laos, Burma, Thailand, Cambodia, and finally Vietnam. 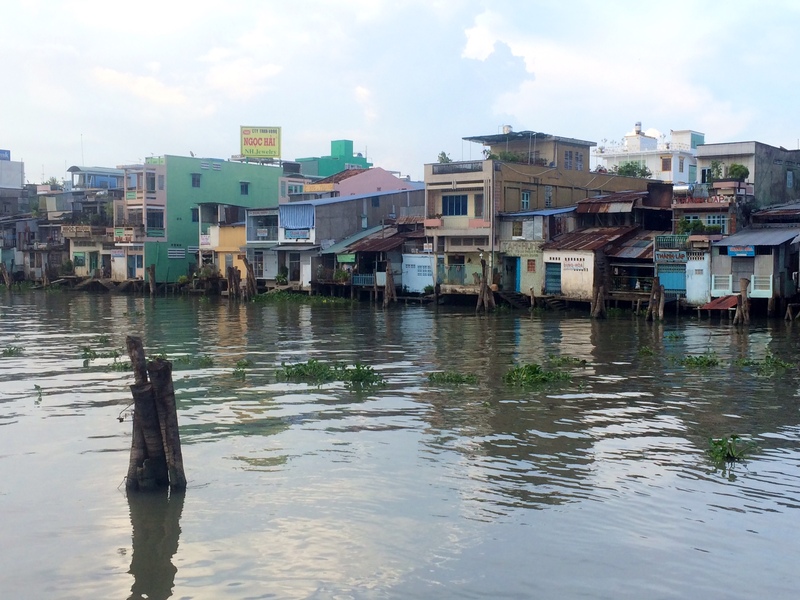 When it finally reaches the delta, the Mekong has split into 9 rivers each over a mile wide. The boat creeked along the edge of one of the rivers. 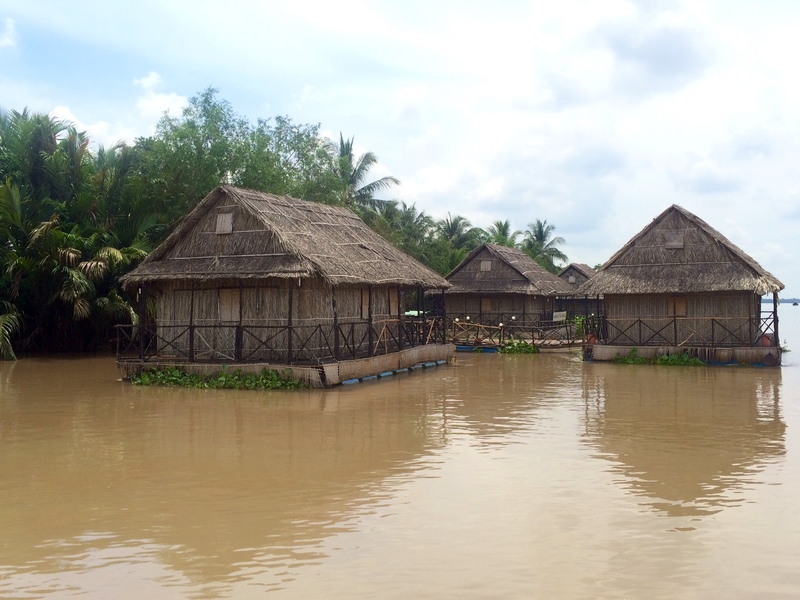 We passed by a floating village. 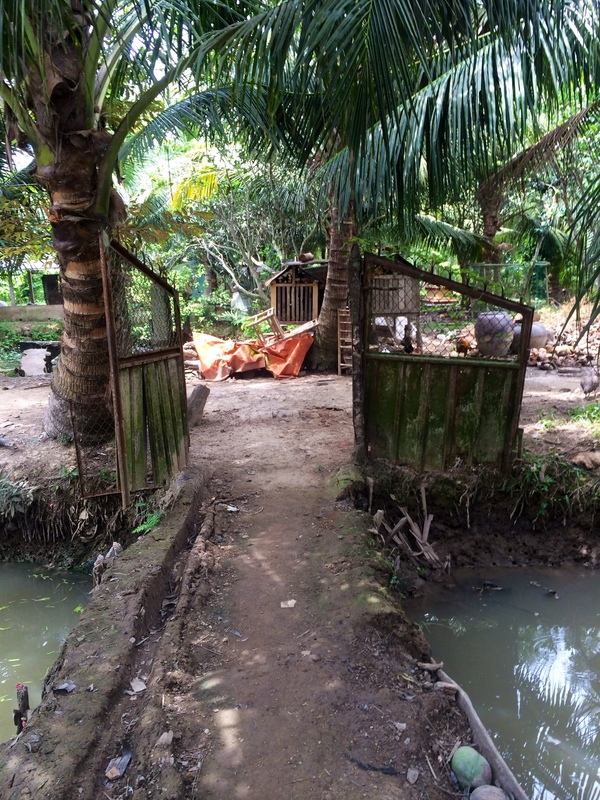 We also saw a quick glimpse into the life of the fisherman who live here. After about 45 minutes, we moved into a smaller boat that took us up a small palm tree-lined creek. From there, we got off and walked over to lunch. The restaurant was a glorified small farm and they cooked all the meals in a tin shack. Tuan ordered the “fresh, free-range” chicken then asked the waiter for a young chicken. 2 minutes later, the waiter returned with a live chicken then killed it in front of us before taking it to the kitchen. 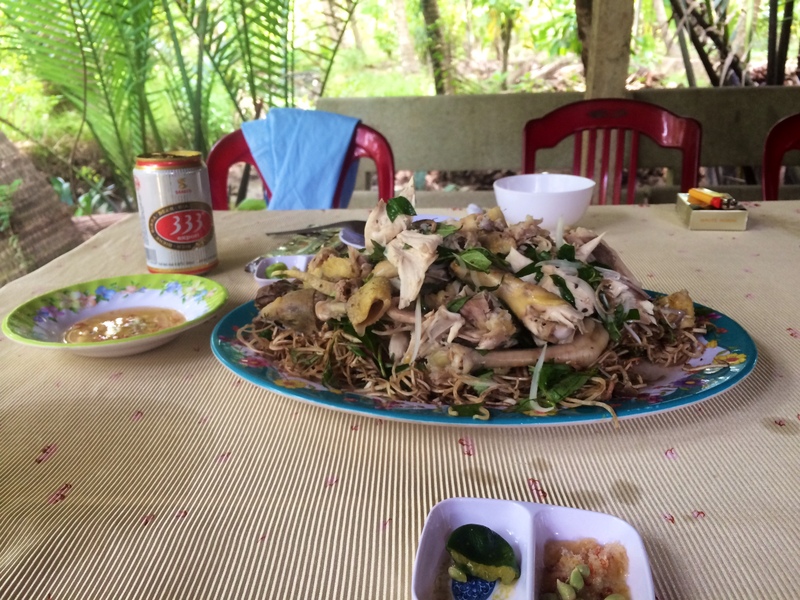 The chicken was served on a banana flower salad- certainly the freshest meal I have ever had. To drink, we had snake wine, which is a rice wine mixed with blood from a king cobra, which is supposed to help joint health. After the meal, we visited a couple islands. We then headed back to My Tho. 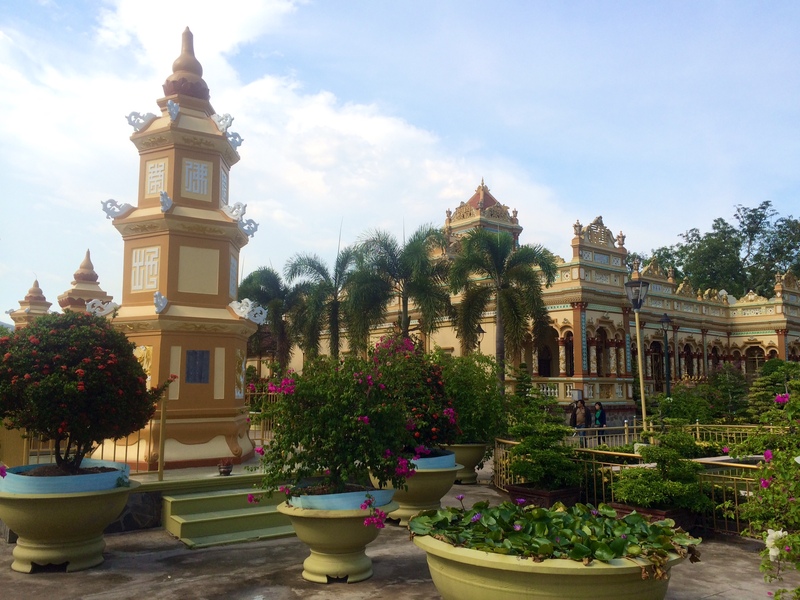 Before heading back to Saigon, Tuan took me to a Buddhist pagoda called Vinh Trang. 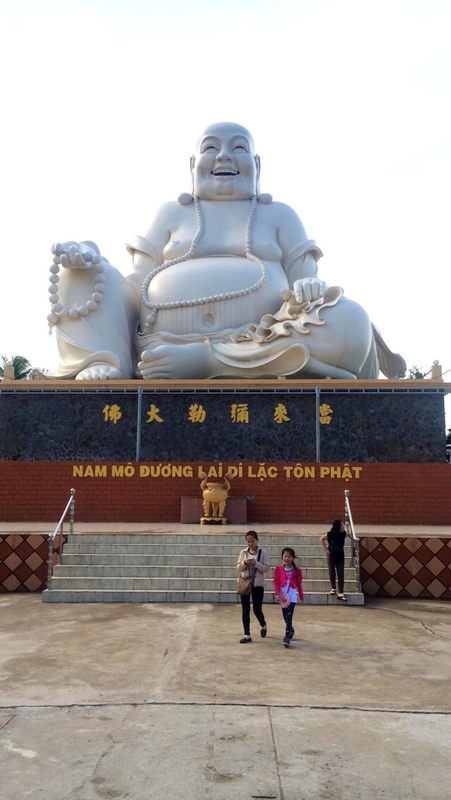 It had some gigantic Buddha statues outside. Big Buddha- one of 3. The reclining Buddha was about twice this size. 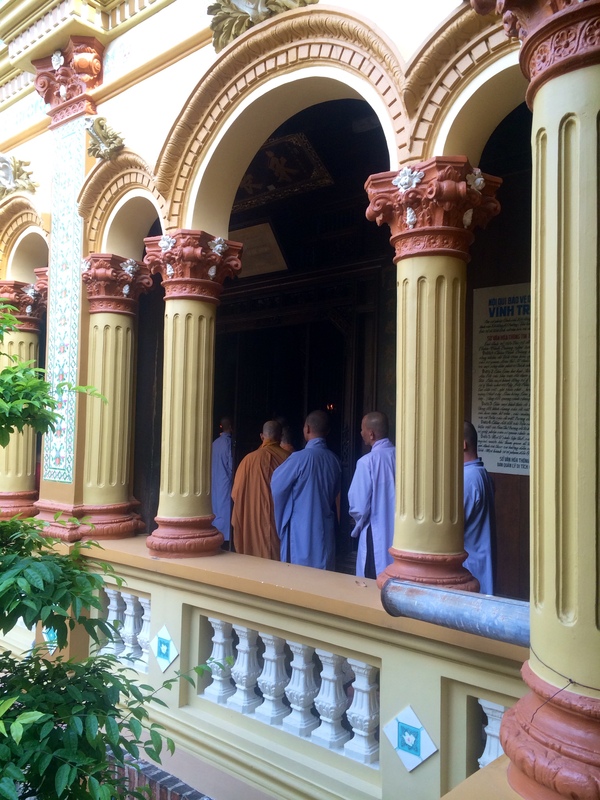 As I walked into the temple, the monks (about 100) walked into the main hall to the beat of a giant drum. They then started chanting. At around 4pm, we started back to Saigon. As we reached the outskirts of the city, it started to rain and the sun started to set. The sunset was absolutely stunning with more orange in the sky than I have ever seen (probably due to the pollution particles, but no matter it was awesome). 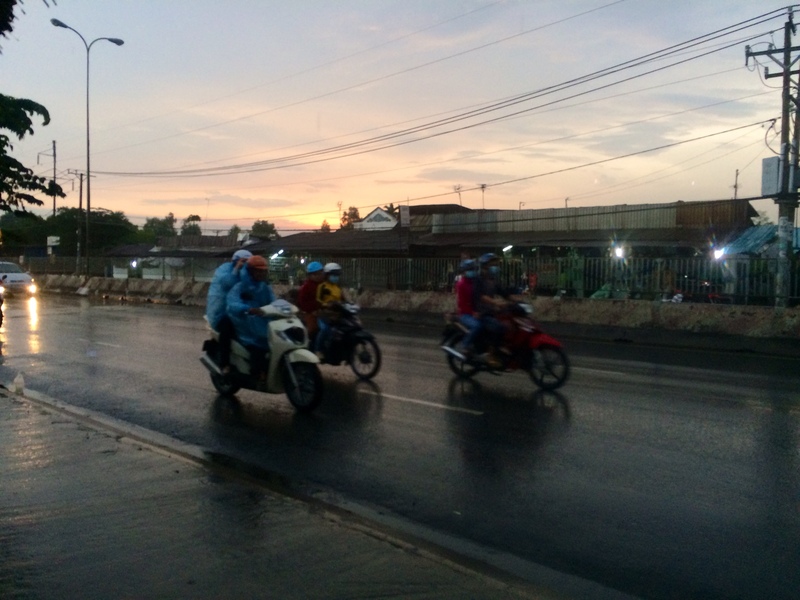 My favorite moment from the day was motorbiking through the flooded streets in the pouring rain with that amazing orange sunset. My feet were soaked in the distugsting rainwater/sewage mix but I still had the biggest smile on my face. I will certainly remember that moment for the rest of my life. I definitely took a gamble by going with Tuan to the Mekong Delta but it paid off. Because it was a private tour, I got the best service albeit for an expensive price. But the best part was being on that motorbike. Although my tailbone hurt, I felt truly immersed in the Vietnamese culture.